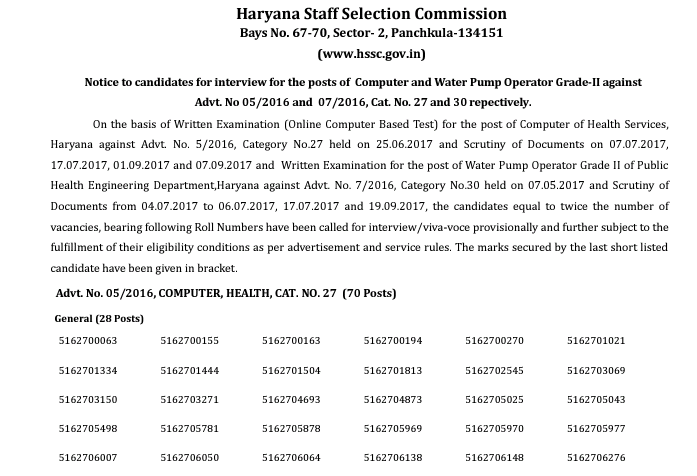 HSSC has Declared written Result,Merit List /Cut Off Marks for the post of Water Pump Operator Grade II Advt. No. 7/2016 Cat No. 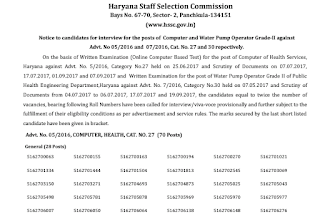 30 Examination held on 07-05-2017.